MR. M. A. MUNIM Ex Secretary General, BCA. he played a leading role in the establishment of the Sylhet Division and a University in Sylhet. 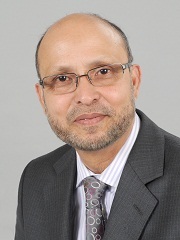 Early in 1982, Abdul Munim went to Saudi Arabia where he established successful businesses both in Jeddah and Makkah, before moving to England in 1989. In 1991 he started his own halal takeaway business called “Sonali Tandoori” in Grove Park, South-East London, and in 1995 launched a successful and extensive property business. In 1999, Mr Munim was elected as President of the Bangladesh Caterers Association’s South East Region. From 2004-2006 he served as Senior Vice-President of the BCA central committee, and from 2007-2012 held the role of Organising Secretary of BCA. Mr Munim also held the responsibility of the convener of the 2011 Annual Dinner and Awards ceremony. In 2012 he was elected Secretary General of BCA.